ASTM A335, UNS K91560 , DIN 1.4903. AS UNS K91560 Pipes , Alloy Steel DIN 1.4903 Pipes, WERKSTOFF NR. 1.4903 Piping, Chromium-Molybdenum UNS K91560 Pipes, Alloy Steel UNS K91560 Pipe, ASTM A335 Chrome Moly P91 Pipes, Alloy Steel P91 Seamless Pipes,ASME SA335 Alloy Steel P91 Seamless Pipes Supplier in Mumbai, India. 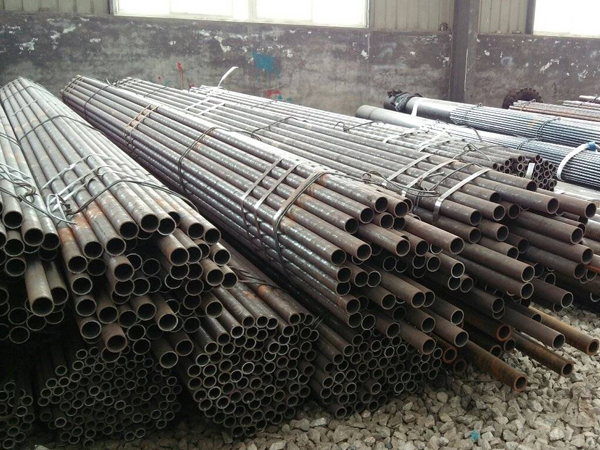 P91 Pipes, P91 Chromoly Pipes, 1.4903 Alloy Steel Pipes, Alloy Steel Seamless Pipes, Alloy Steel P91 Pipe Price List, Alloy Steel P91 Pipes, ASTM A335 P91 Pipes, ASME SA335 Alloy Steel P91 Pipes, P91 Alloy Steel High Pressure Pipe, Alloy Steel Grade P91 Pipes, UNS K91560 Chrome Moly Pipes, P91 CrMo Pipes in Mumbai . As the acclaimed industry, Jayesh Metal is highly involved in providing the vast comprehensive range of Alloy Steel P91 Pipes. The industry is dealing as a popular manufacturer, supplier, stockiest, exporter to their domestic and international buyers. The industry is never used to compromise over the product quality. The adopted stringent guidelines policies and principle have been necessarily recommended by the industry. The industry is assuring safer packaging of the range using the high qualitative materials. They are helping the item in getting protection from severe damages or any kind of defects during the shipping. With respect to national and international quality of raw substances, the pipes are offered in custom-made specifications and wall thickness according to the buyers demand at the market leading rates. The dimensions of Alloy Steel P91 Pipes are ASTM, ASME, API, JIS, DIN, EN etc. The standard specification of it is ASME SA 335 and ASTM A 335. The size of it is ranging from ½” NB to 36” NB. The schedule for it is SCH 40, 80, XXS, 160, XS and all schedules to 12mm THK. The OD of it is 19.05mm to 114.3mm. The wall thickness of it is ranging from 2.0mm to 14mm. The type in which it is available is seamless. The ends of it are the plain end, beveled end, and treaded end. The form in which it is available is rectangle, round, square, hydraulic etc. The length it which it is available is single and double random and in cut length. Just buy it for fulfilling various applications desires. chome moly p91 pipe manufacturers in mumbai, alloy steel p91 pipes, asme a335 p91 pipe schedule chart, schedule 40 grade p91 pipe dimensions, p91 alloy steel pipe price list, jindal p91 alloy steel pipes price list, alloy steel p91 piping sizes, alloy steel p91 pipes supplier in india, alloy steel seamless pipe suppliers in mumbai, chrome moly steel p91 pipes dealer in mumbai, alloy steel boiler pipe, chromoly steel p91 pipe grades chart, chrome moly pipe prices. chromium-molybdenum steel p91 pipe, as p91 pipe weight chart, alloy steel p91 pipe specifications, alloy steel p91 pipe prices, chromium-molybdenum steel p91 pipe price per foot, chrome moly steel p91 high pressure pipe price list. Argentina, Bhutan, Costa Rica , Namibia, Bangladesh, Bolivia, Morocco, South Korea, Qatar, Trinidad & Tobago,Tunisia, United States, Venezuela, Austria, France, Croatia, India, Saudi Arabia, Ecuador, Philippines, Angola, Taiwan, Russia, Nigeria, Turkey, Israel, Egypt, Thailand, Sweden, Netherlands, Bahrain, Ghana, Malaysia, Mexico, Poland, Finland, Bulgaria, Lebanon, Czech Republic, Estonia, Hong Kong , Romania, Azerbaijan, United Arab Emirates, Mexico, Hungary, Chile, Jordan, Poland, Serbia, Gambia, Puerto Rico, Afghanistan, Germany, Macau, Tibet, Iran, Sri Lanka, Belarus, Denmark, Australia, Colombia, Pakistan, China, Oman , Chile, Belgium, Vietnam, Yemen, Peru, Mongolia, Gabon, Japan, Kuwait, Indonesia, New Zealand, Italy, Iran, Singapore, Norway, Libya, Zimbabwe, Nigeria, Slovakia, Iraq, Portugal, Switzerland, Spain, Algeria, Brazil, Kenya, Ukraine, Nepal, Canada, Lithuania, Kazakhstan, Ireland, Greece, South Africa, United Kingdom. Nashik, Dallas, Hanoi, Nagpur, Melbourne, Jakarta, Cairo, Howrah, Courbevoie, Muscat, Vung Tau, Perth, Chennai, Montreal, Faridabad, Noida, Bengaluru, Al Jubail, Pune , Moscow, Doha, Kuala Lumpur, Gurgaon, Ankara, Algiers, Thane, Jaipur, London, Haryana, New York, Ernakulam, Pimpri-Chinchwad, Rajkot, Ahvaz, Indore, New Delhi, Visakhapatnam, Los Angeles, Lahore, Edmonton, Istanbul, Baroda, Petaling Jaya, Atyrau, Kolkata, Granada, Port-of-Spain, Bogota, Aberdeen, Lagos, Dammam, Secunderabad, Al Khobar, Brisbane, Sharjah, Ranchi, Madrid, Ludhiana, Ho Chi Minh City, Houston, Bangkok, Kuwait City, Calgary, Kanpur, Abu Dhabi, Manama, Vadodara, Hyderabad, Jeddah, Singapore, Chiyoda, Riyadh, Bhopal, Sydney, Rio de Janeiro, Karachi, Navi Mumbai, Geoje-si, Ulsan, Mexico City, Busan, Thiruvananthapuram, La Victoria, Tehran, Surat, Toronto, Caracas, Hong Kong, Ahmedabad, Chandigarh, Gimhae-si, Seoul, Santiago, Mumbai, Colombo, Milan, Coimbatore, Dubai, Jamshedpur.